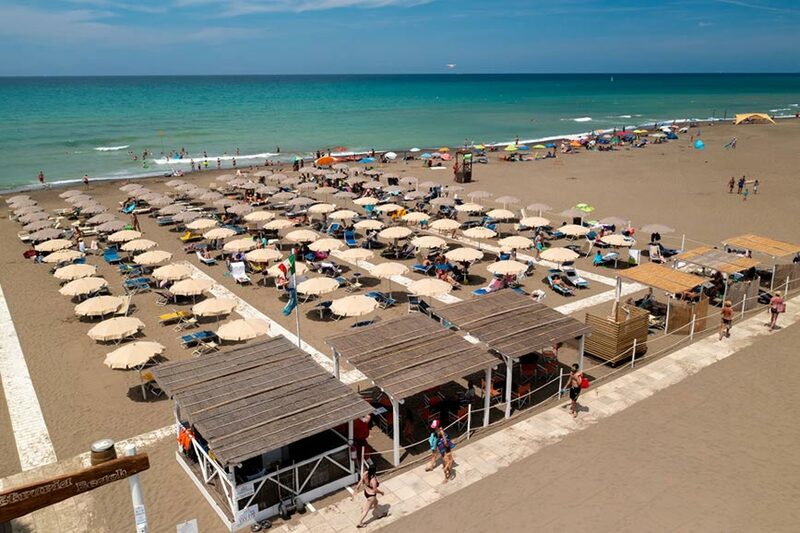 Etruria Beach is the scent of the Tuscan sea, a refreshing mistral wind, sun, relaxation and fun. Tournaments on the beach with friends you just met, your children making sand castles with their new friends, the afternoon siesta under the umbrella caressed by a sea breeze. If you are looking for a campsite with beach in Tuscany, here you will find the one that suits you. 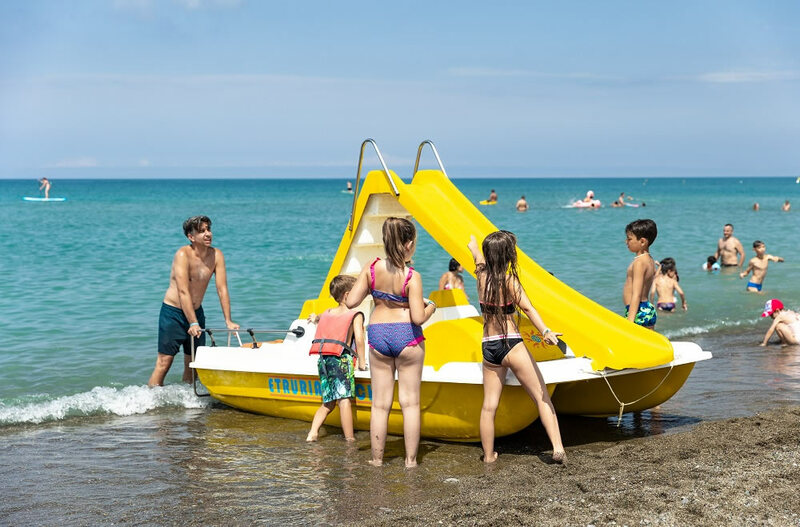 On the wide beach of Marina in Castagneto Carducci, with no architectural barriers, our Etruria Beach has a bar, entertainment on the beach and pedal boats and canoes rent: all you need for your enjoyment! 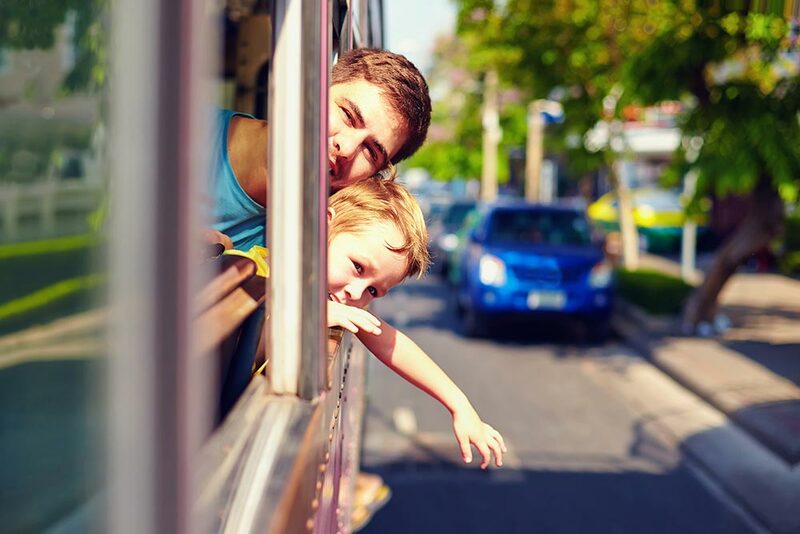 The beach, fully equipped, is surrounded by sand dunes and lush pine trees and the water of this sea has always been awarded the Blue Flag of the European Community. Here you can rent loungers and umbrellas, and enjoy the comfort of our showers and gazebos. In addition, there is a pizza bar, for your lunches and tasty snacks at all hours. 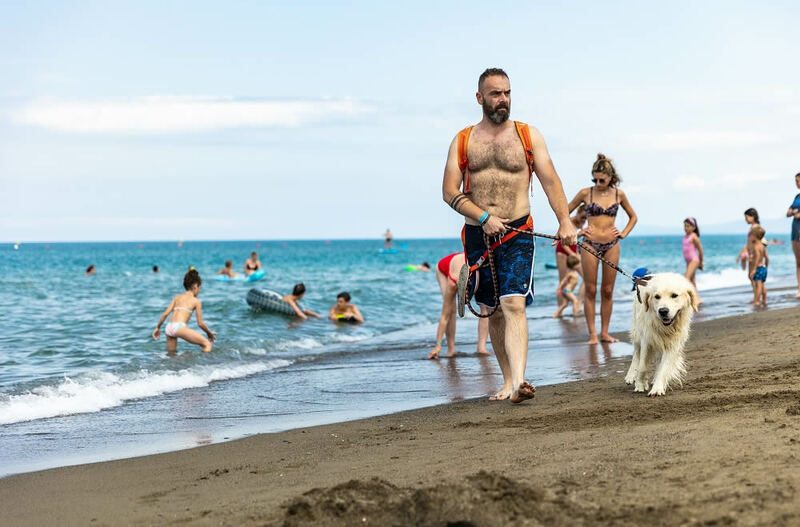 If you're on vacation with your 4-legged friend, we recommend the Dog Beach near the campsite beach, for careless days, in the company of your favorite animal.